Cárdenes-Almeida, R., C. Alberola-Lopez, and J. Ruiz-Alzola, "Fast and accurate geodesic distance transform by ordered propagation", Image and Vision Computing, vol. 28, no. 3: Elsevier, pp. 307–316, 2010. Merino-Caviedes, S., M. Teresa Pérez, and M. Martin-Fernandez, "Multiphase level set algorithm for coupled segmentation of multiple regions. Application to MRI segmentation", Engineering in Medicine and Biology Society (EMBC), 2010 Annual International Conference of the IEEE: IEEE, pp. 5042–5045, 2010. Tristán-Vega, A., C-F. Westin, and S. Aja-Fernández, "A new methodology for the estimation of fiber populations in the white matter of the brain with the Funk–Radon transform", NeuroImage, vol. 49, no. 2: Academic Press, pp. 1301–1315, 2010. García-Pérez, V., A. Tristán-Vega, and S. Aja-Fernández, "NURBS for the geometrical modeling of a new family of Compact-Supported Radial Basis Functions for elastic registration of medical images", Engineering in Medicine and Biology Society (EMBC), 2010 Annual International Conference of the IEEE: IEEE, pp. 5947–5950, 2010. 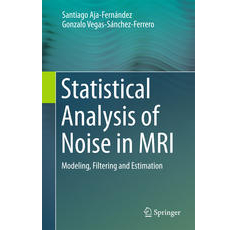 Cárdenes-Almeida, R., E. Muñoz-Moreno, A. Tristán-Vega, and M. Martin-Fernandez, "Saturn: A software application of tensor utilities for research in neuroimaging", Computer methods and programs in biomedicine, vol. 97, no. 3: Elsevier, pp. 264–279, 2010. Aja-Fernández, S., G. Vegas-Sanchez-Ferrero, and M. Fernandez, "Soft thresholding for medical image segmentation", Engineering in Medicine and Biology Society (EMBC), 2010 Annual International Conference of the IEEE: IEEE, pp. 4752–4755, 2010. Aja-Fernández, S., A. Tristán-Vega, and W. Scott Hoge, "Statistical noise model in GRAPPA-reconstructed images", Proceedings of the International Society of Magnetic Resonance in Medicine, pp. 3859, 2010. Merino-Caviedes, S., G. Vegas-Sanchez-Ferrero, T. M Pérez, S. Aja-Fernández, and M. Martin-Fernandez, "A variationally based weighted re-initialization method for geometric active contours", Biomedical Imaging: From Nano to Macro, 2010 IEEE International Symposium on: IEEE, pp. 908–911, 2010. García-Pérez, V., E. Muñoz-Moreno, S. Aja-Fernández, and C. Alberola-Lopez, "A 3-D collision handling algorithm for surgery simulation based on feedback fuzzy logic", Information Technology in Biomedicine, IEEE Transactions on, vol. 13, no. 4: IEEE, pp. 451–457, 2009. Garmendia-Leiza, J R., J. M. Andres-de-Llano, J. Ardura-Fernández, J B. Lopez-Messa, MD. Aguilar-Garcia, and C. Alberola-Lopez, "Acute myocardial infarction circadian rhythm in a geriatric population in Castilla y Leon", Journal of the American Geriatrics Society, vol. 57, no. 7: Wiley Online Library, pp. 1312–1313, 2009. Martin-Fernandez, M., E. Muñoz-Moreno, L. Cammoun, J-P. Thiran, C-F. Westin, and C. Alberola-Lopez, "Addendum to “Sequential anisotropic multichannel Wiener filtering with Rician bias correction applied to 3D regularization of DWI data”[Medical Image Analysis 13 (2009) 19–35]", Medical image analysis, vol. 13, no. 6: Elsevier, pp. 910, 2009. Aja-Fernández, S., G. Vegas-Sanchez-Ferrero, M. Martin-Fernandez, and C. Alberola-Lopez, "Automatic noise estimation in images using local statistics. Additive and multiplicative cases", Image and Vision Computing, vol. 27, no. 6: Elsevier, pp. 756–770, 2009. Tristán-Vega, A., S. Aja-Fernández, and C-F. Westin, "On the Blurring of the Funk–Radon Transform in Q–Ball Imaging", Medical Image Computing and Computer-Assisted Intervention–MICCAI 2009: Springer Berlin Heidelberg, pp. 415–422, 2009. Cárdenes-Almeida, R., D. Argibay-Quiñones, E. Muñoz-Moreno, and M. Martin-Fernandez, "Characterization of anatomic fiber bundles for diffusion tensor image analysis", Medical Image Computing and Computer-Assisted Intervention–MICCAI 2009: Springer Berlin Heidelberg, pp. 903–910, 2009. Muñoz-Moreno, E., and M. Martin-Fernandez, "Characterization of the similarity between diffusion tensors for image registration", Computers in biology and medicine, vol. 39, no. 3: Pergamon, pp. 251–265, 2009. Tristán-Vega, A., and S. Aja-Fernández, "Design and construction of a realistic DWI phantom for filtering performance assessment", Medical Image Computing and Computer-Assisted Intervention–MICCAI 2009: Springer Berlin Heidelberg, pp. 951–958, 2009. Martin-Fernandez, M. Angel, M. Martin-Fernandez, and C. Alberola-Lopez, "A log-euclidean polyaffine registration for articulated structures in medical images", Medical Image Computing and Computer-Assisted Intervention–MICCAI 2009: Springer Berlin Heidelberg, pp. 156–164, 2009.